Hey, look at that pair I wonder what they are up to. 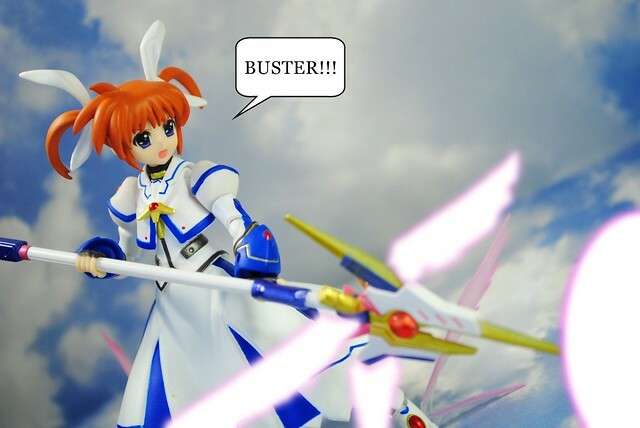 You know, these two are quite alike, going all out form the beginning and using beams like there is not tomorrow. Most importantly though, they both show their "love" in a very similar fashion. 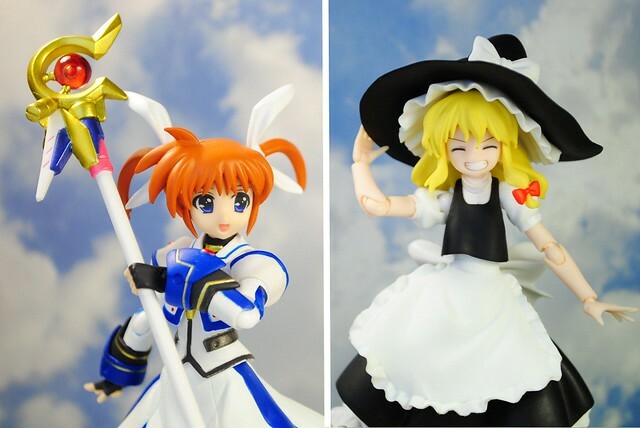 If you haven't noticed I finally got my hands on Marisa, thanks to some good soul from Tsuki-Board. He had a price I couldn't resist and free shipping to top it off. By the way, this is my 100th post. I had planned something big and fancy for it. However, due to the Japanese earthquake, shipping and release delays that was not to be. I will postpone it a bit. 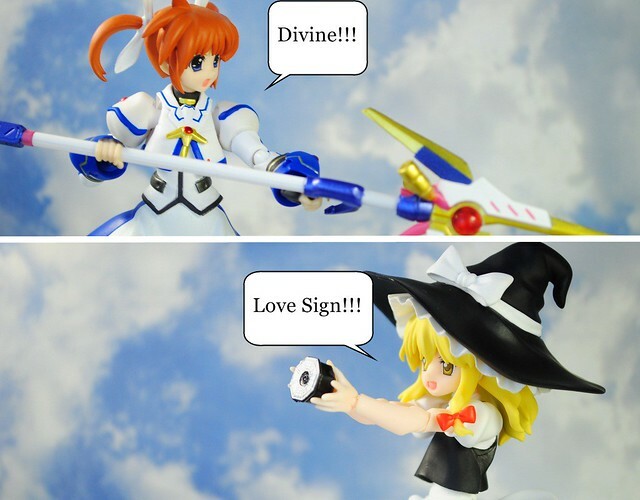 ... and thus the world ended in the mist of Nanoha and Marisa befriending each other.